Do people live year-round in Antarctica? Today’s Wonder of the Day was inspired by Watson from Charlotte, NC. Watson Wonders, “Are there any people living in Antarctica?” Thanks for WONDERing with us, Watson! Think of a warm, sandy beach on the shores of a tropical island. You're relaxing in a hammock under the shade of a huge palm tree. The temperature is over 100° F, but the cool breeze off the ocean makes it feel perfect in the shade. Now what would be the exact opposite of that mental picture? Perhaps freezing under a dozen blankets while the wind howls mercilessly outside your igloo in the middle of an ocean of ice and snow? The Earth is a large planet. Some areas experience extreme temperatures. Have you ever wondered where on Earth it gets the coldest? If you want to go to the coldest place on Earth, just head south…all the way south! The continent of Antarctica can boast that it's the coldest, driest, and windiest continent on Earth. It also happens to have the highest average elevation of any continent. Located almost entirely south of the Antarctic Circle, Antarctica is Earth's southernmost continent. It contains the South Pole and is surrounded by the Southern Ocean. Approximately 98% of Antarctica is covered in ice that's almost a mile thick. Because it averages only about eight inches of precipitation each year, Antarctica is considered a desert. Did you ever think that a desert could be covered in ice? The cold temperatures and overall climate of Antarctica make it a difficult place to live. In fact, there are no permanent human residents of Antarctica. Throughout any given year, though, there are usually somewhere between 1,000-5,000 people living on Antarctica in research stations while they conduct scientific experiments. So how cold does it get in Antarctica? Very cold! The coldest temperature on Earth ever recorded was -128.6° F at the Russian Vostok Station in Antarctica on July 21, 1983. How cold is that? It's about 20° F colder than subliming dry ice! Throughout the year, Antarctica's temperatures can vary drastically. In winter, temperatures can reach as low as -112° F and below. In the summer near the coast, temperatures can rise as high as almost 60° F.
Despite these low temperatures, a big health issue year-round in Antarctica is sunburn. It's true! The snow and ice reflect almost all of the ultraviolet light that falls on the surface of Antarctica, so sunscreen is a must-have all throughout the year. If you're wondering where the coldest permanently-inhabited place on Earth is, it's Oymyakon in the Siberia area of Russia. Oymyakon has an annual average temperature of just 3° F. The coldest month — January — boasts an average temperature of -51° F.
Oymyakon, which sits about 200 miles south of the Arctic Circle, is home to over 200,000 people. Schools there only close when the temperature dips below -61° F. Some people leave their vehicles running all day long to make sure they're ready when they need them! Be a pal and join us in Wonderopolis tomorrow. We promise it’s the WRITE thing to do! There's no need to head to Siberia or Antarctica to experiment with cold temperatures. Just grab a friend or family member and try some of these fun, but freezing cold science experiments at home: + Freezing Water + Easy Snow and Ice Experiments + The Lifting Ice Cube Experiment! Would you rather live where it's really warm all the time or really cool all the time? Some people prefer warm weather because they can do more things outside. Other people, however, prefer colder weather, because they believe it's easier to get warmer when you're cool than it is to cool off when you're hot. What do you think? Debate the pros and cons of hot vs. cold weather and then decide on what weather you'd choose if you could live anywhere. Would you visit Antarctica if you got the chance? Check out National Geographic's Destination: Antarctica video to learn more about this frigid place. What things would you want to do if you got the chance to go to Antarctica? Peinguins are my favorite animal so I liked this article. I think this article is very descriptive and has many details about Antarctica. We think it would be really different to run in Antarctica. What do you think? Hi, charlie! Did reading this Wonder make you cold? Very, very cold!! In winter, temperatures can reach as low as -112° F and below!! 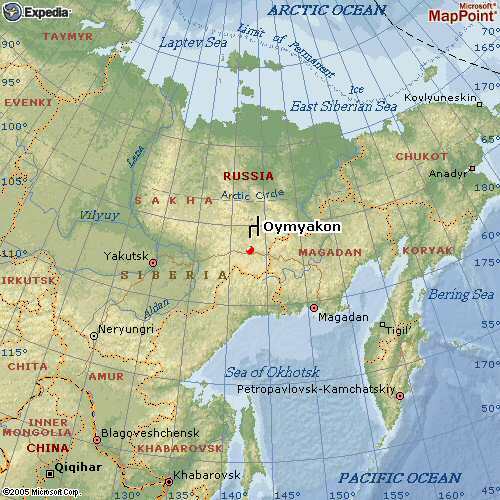 Oymyakon is the coldest permanently-inhabited place on earth. This distinction is made in the article because people don't live in Antarctica indefinitely, but are usually there for certain periods of time to do research and whatnot. Interesting Wonder, though, huh Alsomeme24681? Even though Antarctica is south of us, why is it way colder there? well Antartica us cold because oenguins klive there and peinguins need a cold habatat to live in. I think this website has more info on Antarctica than any other in the whole world!!! Thank you so much!!! This is getting more cool every time I watch it. My grade is 5. I love to learn about where does fog comes from and where is the coldest place on earth. I wonder what Wonderopolis has next for us? Antarctica is the coldest place on earth. I think that's so interesting. I love this website. You just type in a wonder and its there. There are so many wonders to learn about, so I hope nobody would write bad reviews and I hope many people learn a lot just like me. Keep wondering!!!!!!!!!!!!!!!!!!!!!!!!!!!!!!!!!!!!!!!!!!! Hi! This is an awesome website. I like how there is a cool fact every day! I can't wait to see the others! Thanks for writing a lot about each fact! I love this website. You are awesome. This is the best website in the world lets keep wondering:)!!!!!!! Welcome to Wonderopolis, Hailey! We are so glad to have you as our newest Wonder Friend! You may want to check out some of our other animal Wonders like: Wonder #819: What is the largest shark? or Wonder #642: Where is the largest zoo? Keep WONDERing with us, Hailey! Hi this website gives a lot of information. Thanks!!!!!!!! Awesome website:) So much cool stuff on this website. We just learned the coldest place on earth. On Monday in Wisconsin, it is supposed to be the coldest day here. My favorite part of Earth Day is helping for the Earth. What is the coldest place in Antarctica? Do you like Earth Day? What are some earth day activities? Helloo thank you soooooooooooooooo-oooooooooooo MUCH. I think the coldest place on earth is Antarctica because it's really cold. Those penguins are so cute. I could just snuggle with them! The people who were on the boat are mean they were ruining the polar bears homes! Hi! The Wonder of the day was good today. The coldest place on earth is Antarctica. I like Antarctica because I like penguins. I'm wondering...are there polar bears there? Señora Waingort's Grade 2 Class says: We really like your Wonder of the Day. It was cool to find out Antarctica is the coldest place on earth. We don't think any of us want to go there. We wonder how it gets so cold? We think the penguins are cute. How many penguins live in Antarctica? Warning: penguins bite! We wonder where is the hottest place on earth? Hi, I am Harshitha in Mrs.Caplin's class. I learned some facts in this marvelous wonder. The facts are the continent of Antarctica is the coldest place in the world. Approximately 98% of Antarctica is covered in ice that’s almost a mile thick. Because it averages only about eight inches of precipitation each year, Antarctica is considered a desert. The coldest temperature on Earth ever recorded was -128.6 F at the Russian Vostok Station in Antarctica on July 21, 1983. In winter, temperatures can reach as low as -112 F and below. In the summer near the coast, temperatures can rise as high as almost 60 F. Why does it get hot in summer? Because in winter it gets as low as -112 F. Anyway thanks for the information!!!!!! Wondering! what is the temperature like in Antarctica today when we here in PA had 59F. What changes are happening temperature wise at south pole....Wondering! I like wonderopolis a lot. I like trying to guess the answers to your wonders. Everyday, the teacher pulls it up and reads the wonder to us. We write about what we think the answer is if we want to. Your next wonder should be about monkeys. I think the coldest place on earth is Antarctica. You should do a wonder about Harry Potter!!!!!!!! I would not even stay there AT ALL because how could I? It is BRRRRRRRRR. It's like 75 degrees Fahrenheit! :-) :-) :-) Hope you guys have a wonderful weekend!!!!! I think today's was very good, but I'd definitely be cold. Hello, Wonderopolis. I try to follow the wonder of the day, but sometime I can't. I think tomorrow is going to be about a goose. Hey wonderopolis, how are you doing? I think the coldest place on earth is Alaska. I will go with Antarctica, too. Hi, Kaitlyn here. I wonder what is tomorrow? I love going on this website, I think this is fun. I like today's wonder it is AMAZING!!! I really enjoy your videos. They are really good. We just found your website 2 or 3 days ago and everyday in school we go on this website. Can you wonder about monkeys? Hi, I'm Aaron. I'm new. Hi, it is Kaitlyn. I love wonderopolis. I think tomorrow's wonder is about geese environment and shelter. I used to think you wouldn't put sunscreen on in Antarctica. But, once I heard that sunburn was a problem, I realized it would hurt to have sunburn and be cold at the same time. This makes me think that penguins must have special protection to not get sunburned like we do. How do the penguins do it? Burrrr, it's cold alright it's the south pole. Penguins live in the south pole. Penguins are birds that can't fly. They can slide on their bellies. Thanks for the freezing wonder. This story reminds us of the cold weather we had last year, but the temperatures were nothing compared to what the temperatures are in Antarctica! Some people say it would not be advised to go swimming there, but maybe you could go ice skating if you bundled up real good! WOW! I would feel like a human ice cube and probably wouldn't last 1 hour there. Hey Wonderopolis, nice topic. I didn't think that Antarctica was the coldest place on earth. I thought it was the north pole or the south pole. But, anyway, I do sometimes think I'm at the Himalayas. But yes, I do believe that someday I will go there. Or maybe just Florida, well Florida is my backup plan. Anyway, to the topic kinda. This was the coolest topic so far I can't wait for tomorrow. Just I got to remind myself to bring home my notebook. Oh yes, I think tomorrow's Wonder of the day is going to be about Aflac. Or no, just joking, but it is probably going to be about geese. Okay, I will see you guys later. Bye. I am guessing that tomorrow's wonderopolis will be about healthy eating! That would be a cool wonder of the day! Also, a cool wonder of the day would be about ballet. I have done ballet for 9 years. This was a very informative wonder of the day! Thanks! Dear Wonderopolis, What a great wonder today! We already knew Antarctica was the coldest place in the world. We learned in class just yesterday the coldest temperature ever recorded. We also know about the animals that live there. Can't wait to see tomorrow's wonder. (of a solid substance) change directly into vapor when heated, typically forming a solid deposit again on cooling. What is the coldest, driest, and windiest continent on Earth? Approximately what percent of Antarctica is covered in ice that’s almost a mile thick? Which surprising health issue do inhabitants of Antarctica deal with year round?